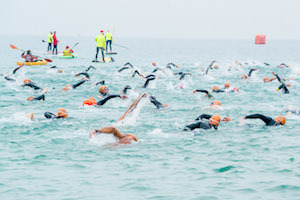 Sign in for the 10th Neda el Món Zoggs Medes Islands Marató TV3 with a 10 % discount! The Neda el Món Zoggs Medes Islands Marató TV3 celebrates this year its 10th anniversary and in order to commemorate with lots of swim addict, Neda el Món offer a 10 % discount to the first 100 swimmers who sign in to any of the three distances of the 10th Neda el Món Zoggs Medes Islands Marató TV3 which will take place on October 20: 1.7 k, 3.4 k or 5.2 k.
The Saint Silvester of the open water returns in Barcelona. Neda El Món ends the season in Barcelona celebrating the fourth edition of the Saint Silvester in Mar Bella beach on December 16th, 2018. 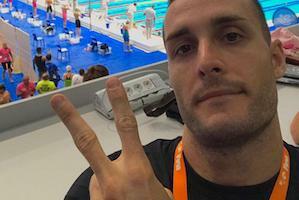 Boris Pallarès: You'll never swim alone! 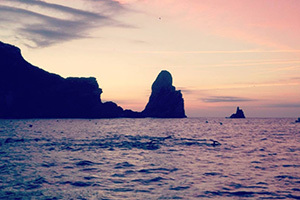 The swim of the Medes Islands is always very special for Neda el Món. It is a beautiful event, in a privileged location where the goal is to help raise funds and amplify the work of La Marató de TV3. This year we will live the event very intensely because the subject touches directly to the heart of Neda el Món. That is why this year we want to dedicate the swim to our coach, Boris Pallarès, who for several weeks is fighting against the disease. 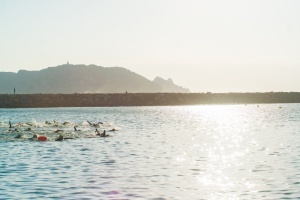 Neda el Món and Zoggs will bring to you the ninth edition of the charity swim for the Marató of TV3 that will take place in L'Estartit on October 21st.